The Orange Walk Town Council is in a serious quandary. Early this morning, its accounts at the Belize Bank were frozen…as in the Council cannot access even a dollar. Here’s the problem in a nutshell. 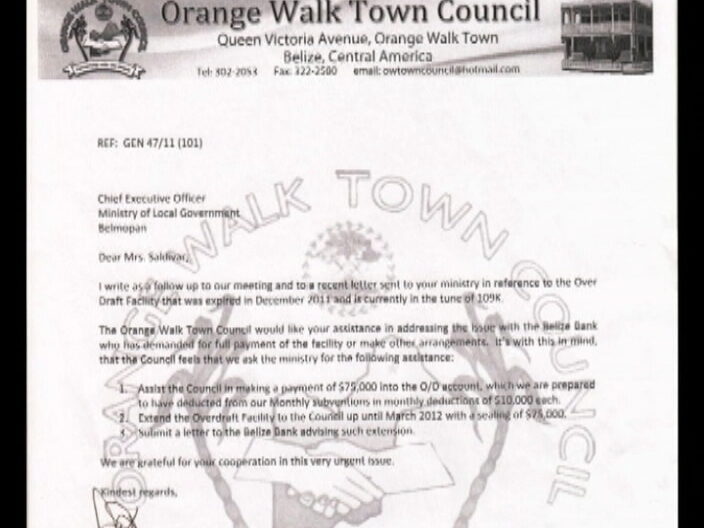 Back in 2010, the Ministry of Finance approved a request for an overdraft facility at the Belize Bank. That request was made by the previous municipal administration. The Ministry of Finance guaranteed the overdraft of one hundred and ten thousand dollars at the bank. In April 2011, the Ministry extended the facility by one year, cautioning that administration to pay off the overdraft within that time. But it wasn’t done, and there has been a change of office. The new administration discovered the huge overdraft when it assumed office in 2012. Since then, they’ve been trying to get the Ministry of Finance to assist in dealing with that situation. 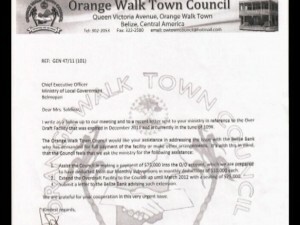 This morning, a frazzled Mayor Kevin Bernard showed us copies of numerous letters the Council sent to the Prime Minister, the Financial Secretary, the Ministry of Finance and the Ministry of Local Government, but with no response. The bank resorted to treating the uncollected overdraft as a non-performing loan and proceeded to freeze the accounts of the council. 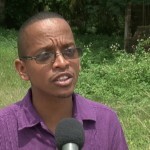 As was stated, Mayor Bernard was on his way to meet with the officials at the Ministries of Finance and Local Government. When we checked with him this afternoon, he told us that both departments were aware of the situation. Unfortunately, the only commitment given at this time is that government will try to resolve the matter soon. That, of course, is no comfort to the Council, which must meet salaries for its employees by Friday. So the pup council has not paid a penny towards a loan just used all the money collected as they please. then dean barrow should not pay a penny of the loans the pup borrowed too. what a bunch of gangsters. dean barrow,have monies to pay the gangs ,erase loans from DFC etc for cronies who have not been paying loans and wasting social security monies to buy shares on btl,bel? 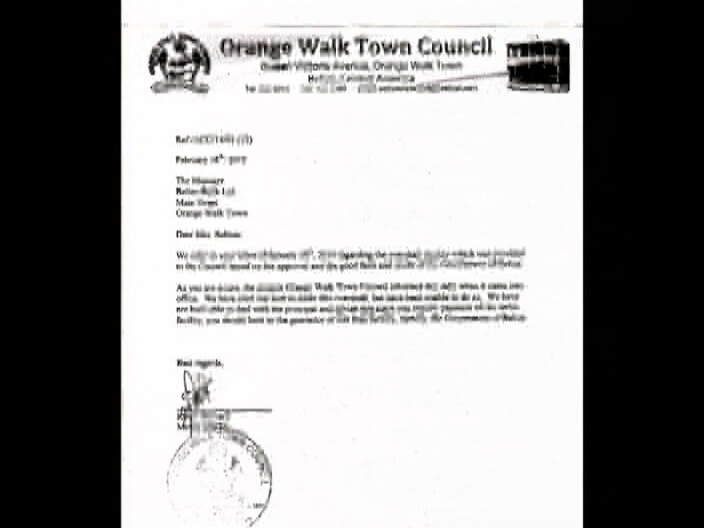 but cannot help the town council,wat a shame on this UDP government. Did Penner commit an act of deception; forging a document for monetary gain? 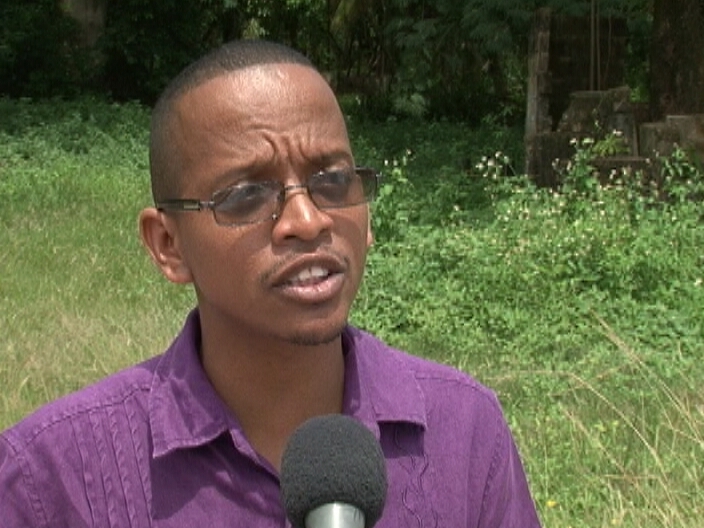 Should Elvin Penner be allowed to continue as representative for Cayo Northeast?